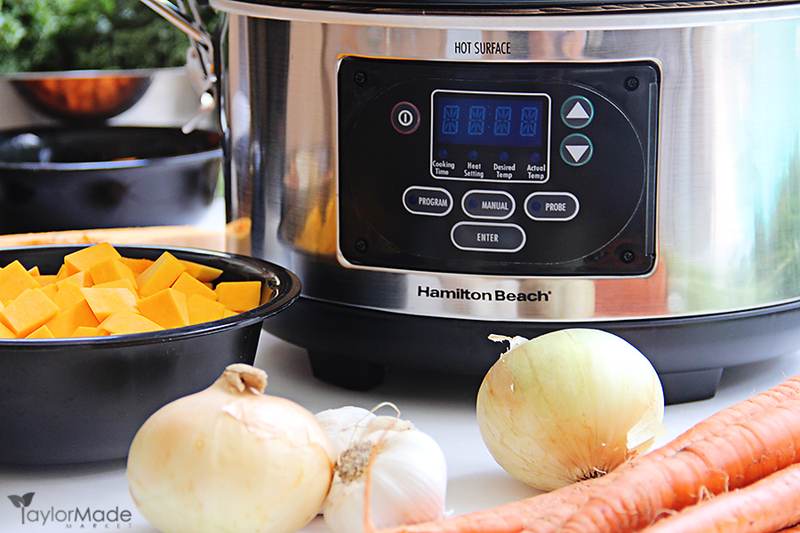 Set & Forget® Programmable Slow Cooker. 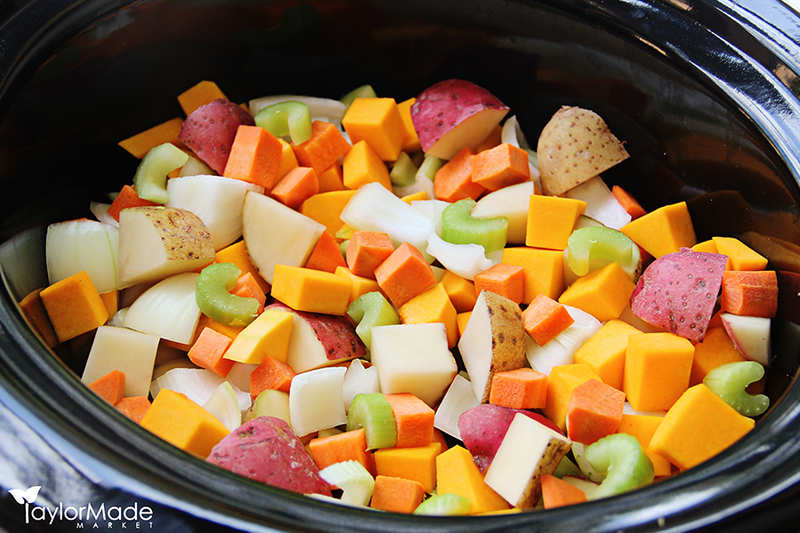 I LOVE this slow cooker.. First For the obvious, Set & Forget part.. Do you know how many times I have burned food in my slow cooker because I simply just forgot about it??? Not any more..
You just set a timer and Viola.. You’re done. Genius! 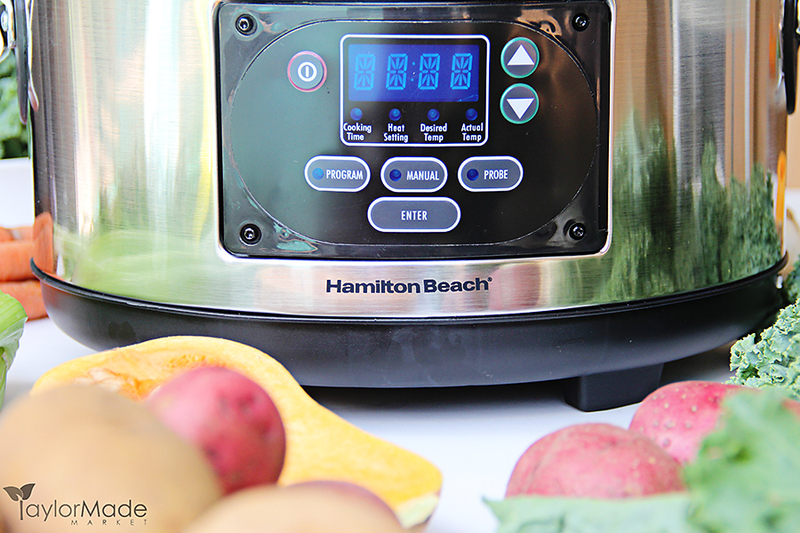 The Set & Forget Slow Cooker from Hamilton Beach comes with a ton of other great features for its low cost. It has an LED programmable display, an auto-warm feature, a clip-tight gasket lid that makes it easy to transport, (no more spills) and a built in temperature probe which cooks the dish until it reaches a certain temperature . You can fit a LOT of food in this 6 qt crockpot and it even comes with it’s very own self cleaning feature.. Just kidding. But it is super easy to clean and the inside bowl can go in the dishwasher. So in honor of Fall.. (even if I live in Florida and we wear swimsuits in October) I am sharing this clean eating Fall vegan detox soup. 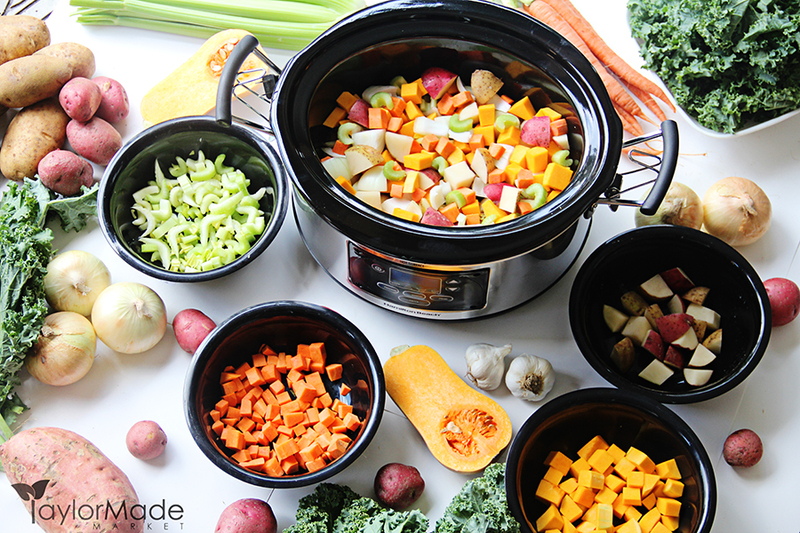 It is incredibly healthy and will nourish your body with these yummy fall harvest veggies. 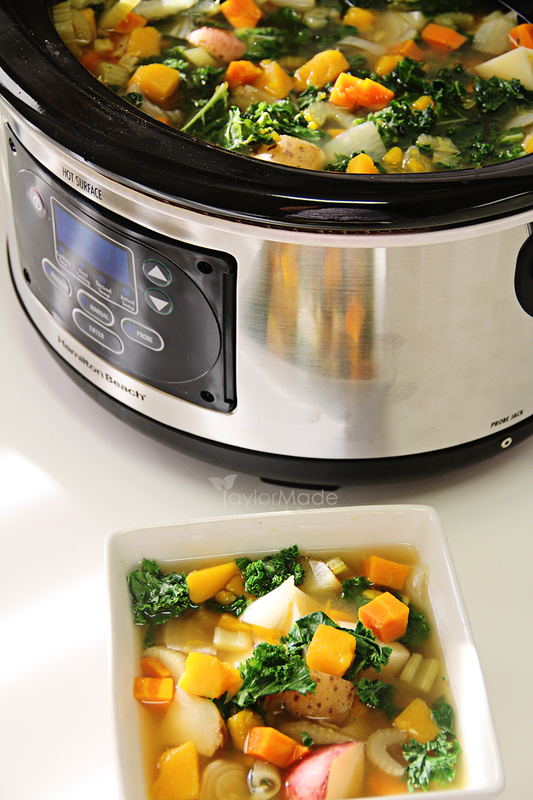 It is super simple to make.. Just chop your veggies and toss it in the slow cooker with some vegetable broth. You can add the ingredients in the morning and by dinnertime you’ll have a hot, healthy good for you meal. 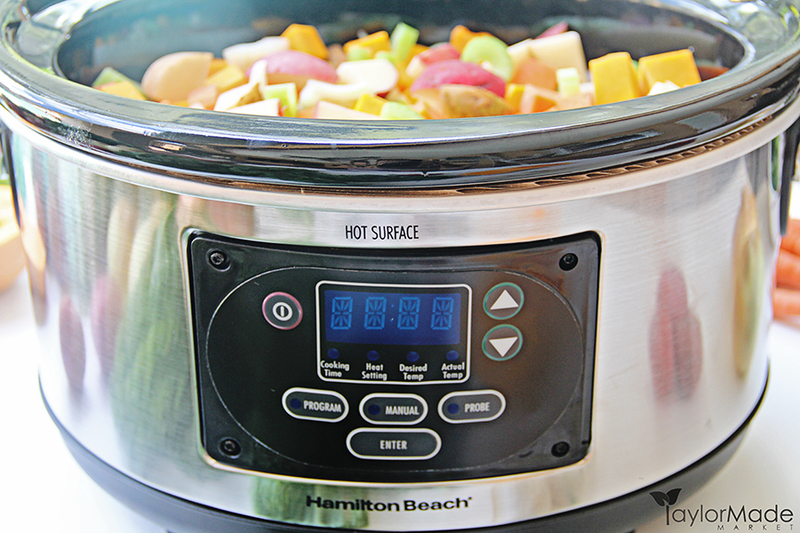 Hamilton Beach® Slow Cookers take the convenience of slow-cooked dishes a giant step further. 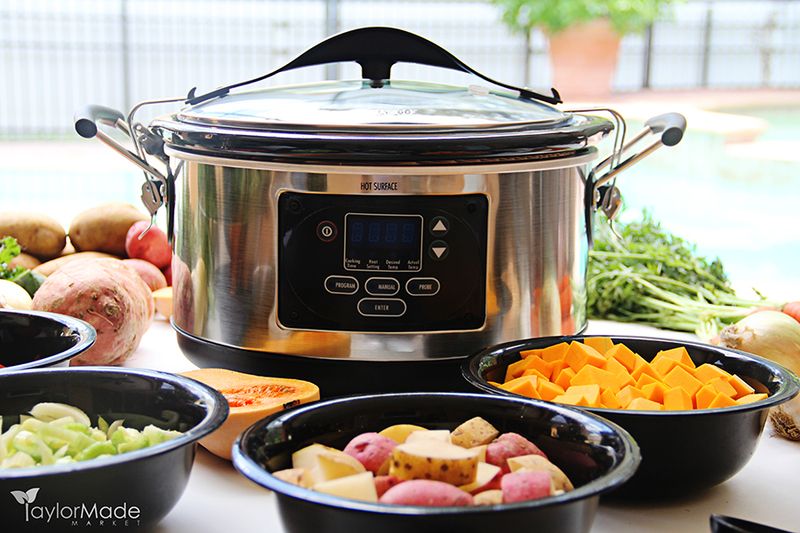 This Slow Cooker is Perfect for entertaining at home or taking on the road. 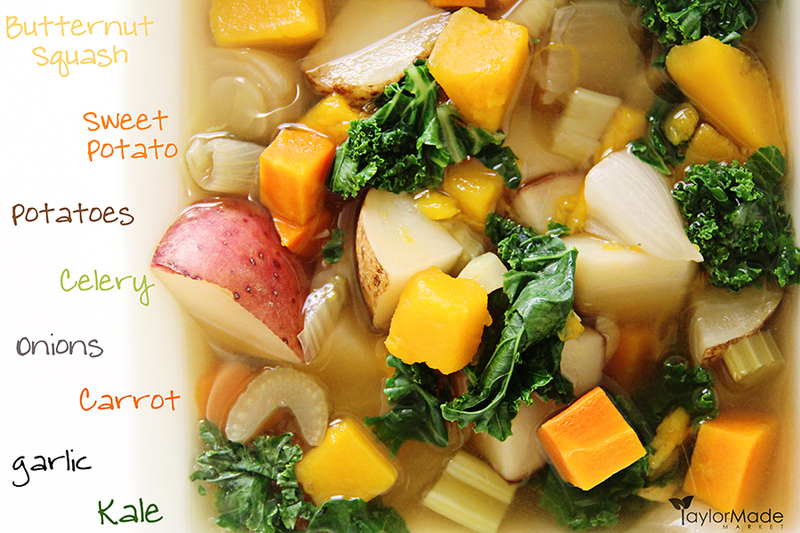 This soup is delicious and a fantastic way to use seasonal root veggies. You can substitute in whatever your favorite veggies may be. This is a hearty and filling gluten free vegan soup. Cook on low heat for 6-8 hours until the veggies are tender. Add kale and stir lightly. Allow 2-3 minutes for the heat of soup to wilt kale. Serve immediately. This is a simple, comforting and delicious detox soup that your friends and family will love. 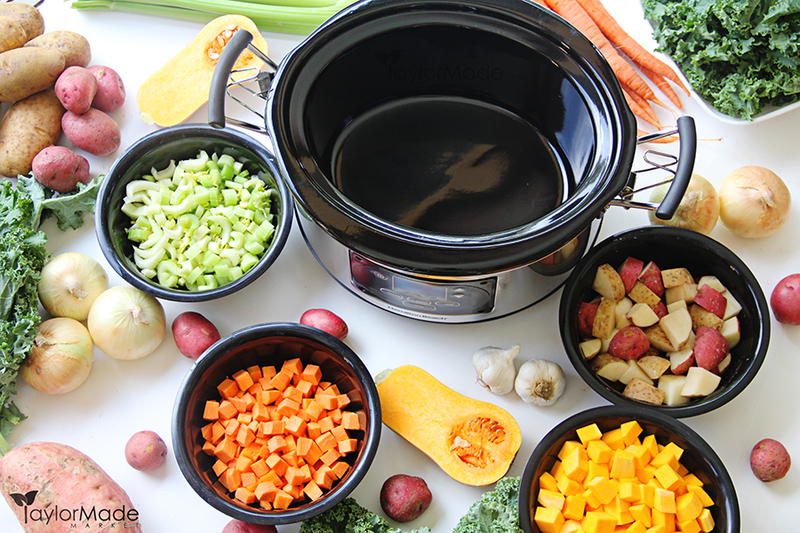 The Set & Forget® Programmable Slow Cooker is the perfect choice for me and you are going to LOVE it too. It has three options for easy, automatic cooking: program, manual and probe mode. An innovative thermometer probe lets you cook food to a specific temperature or cook your meal for a specific length of time. Just insert the probe, set the desired meat temperature and the Set & Forget® Slow Cooker automatically shifts to keep warm when the temperature is reached. This way, you never overcook your roast and you know it has reached the proper temperature. Do you worry about overcooking your six-hour pot roast recipe when you know you’ll be gone for ten hours? 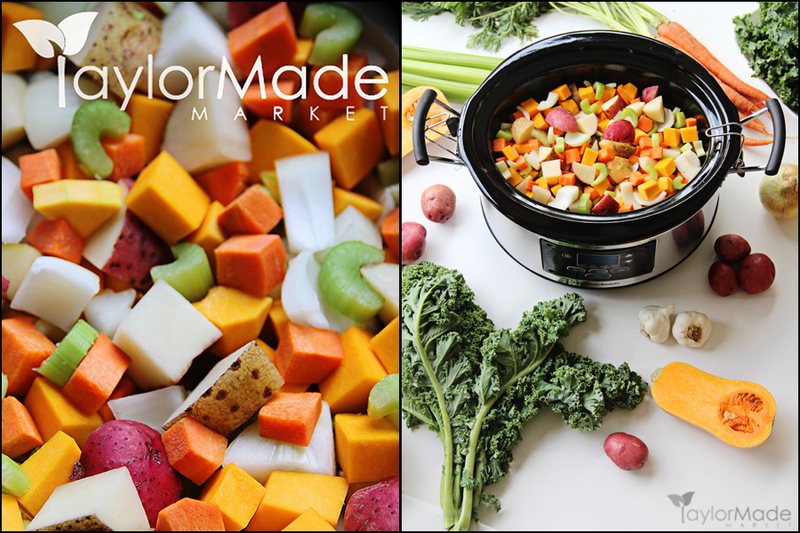 Have you ever passed on a recipe because the slow cooking time wasn’t convenient for your schedule? Then this is for YOU!!!! 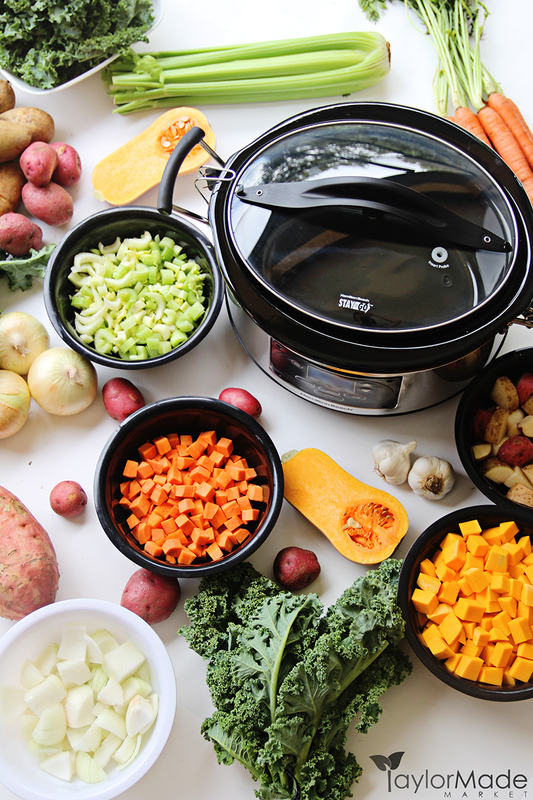 What would you make with a new slow cooker? I’d love to own this slow cooker. The first recipe I’d make in it would be chicken breast with salsa, black beans, and corn. Thanks. This would be such an improvement over the slow cooker I have now! I like this slow cooker! I’d have to make some white chili in it! BBQ Bacon Cheddar Meatloaf, Sandwich or Cupcake?!? !